This delightful little enclave houses animals and plants indigenous to the Caribbean and South America, including many birds that were inherited from a former aviary. There's also a bat cave filled with fruit bats. 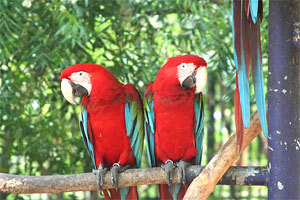 All the animals live among more than 100 different plant species. The Monkey Bar is the zoo's charming souvenir shop that sells Caribbean and zoo mementos. This is a perfect place to take the kids when they need a break from the sand and sea.